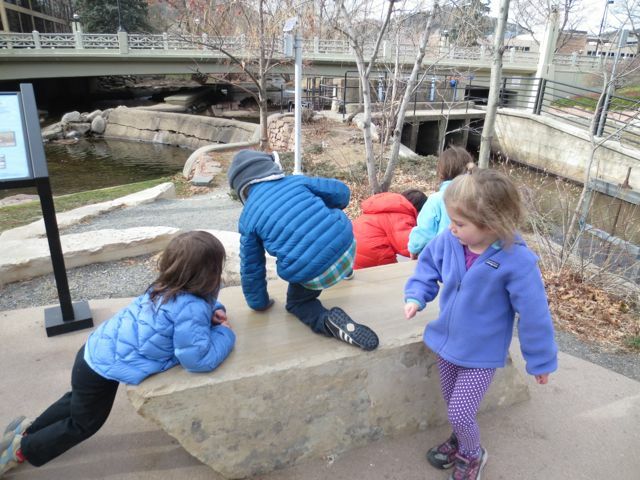 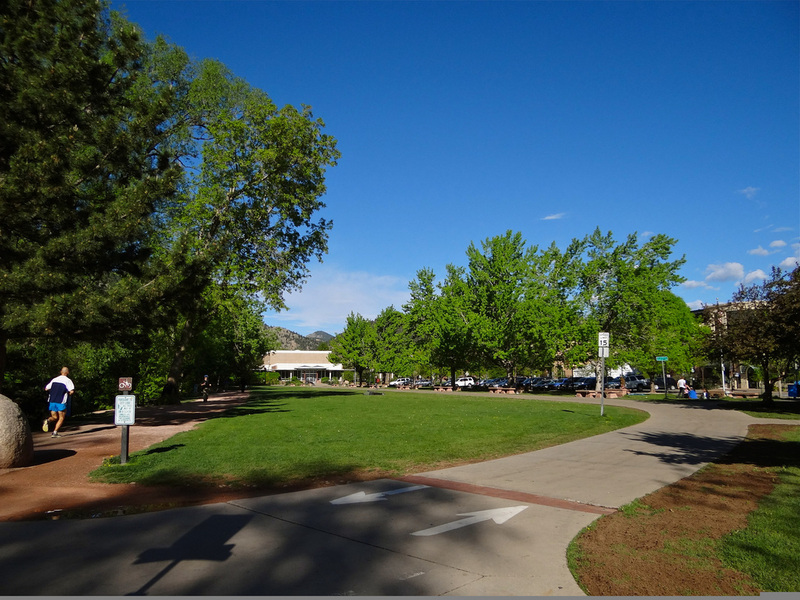 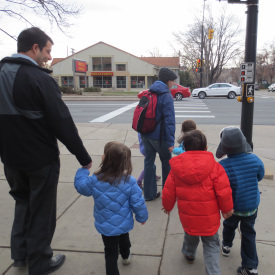 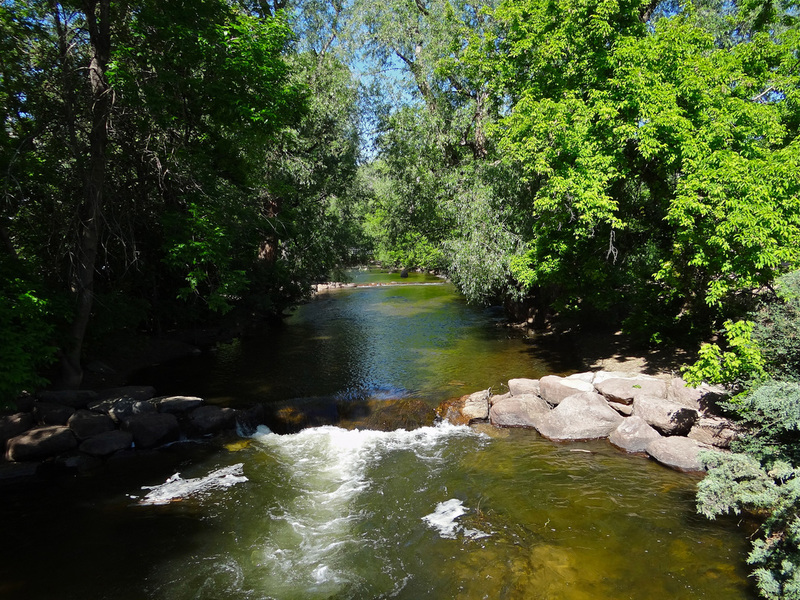 1...Young children have a great deal to teach us about possibilities for planning public spaces, specifically the Boulder Civic Area. 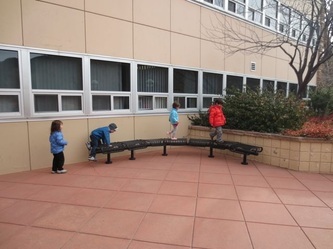 2...In order to gather the children’s opinions in a meaningful way, we have to offer them the time, space, and resources necessary to gain a strong understanding of the project. 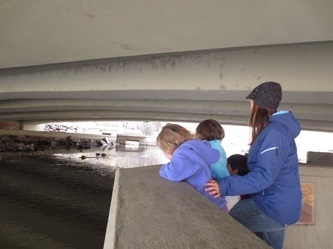 3...In order to know the context of the children’s opinions, we have to involve their families, since they primarily visit the Boulder Civic Area together. 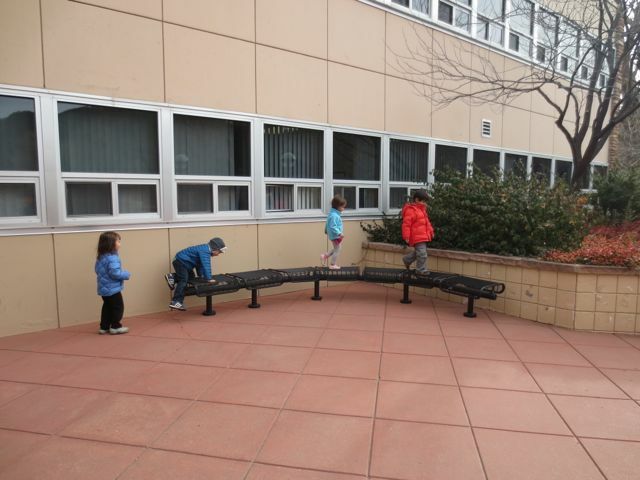 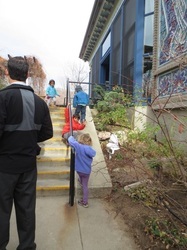 Teachers began slowly, offering the children chances to interact with the Civic Area space in different ways. They offered no objective or end goal, but simply observed. 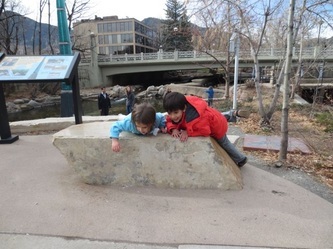 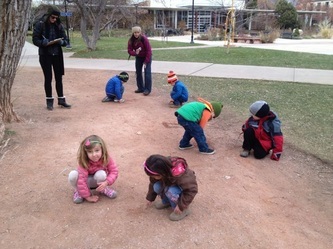 During the weeks following the picnic, the children examined photos of the Boulder Civic Area. 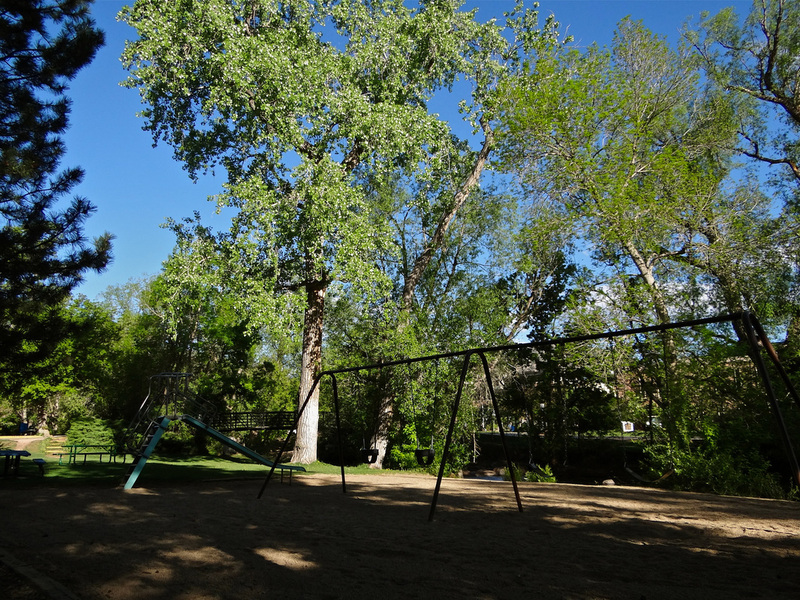 The photos were very basic scenery shots. 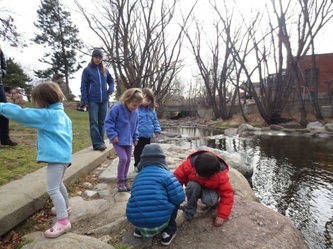 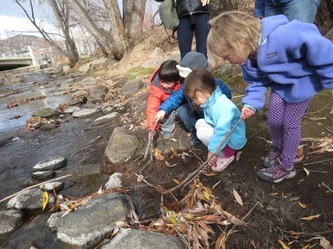 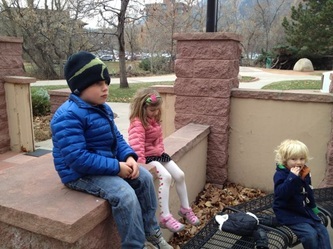 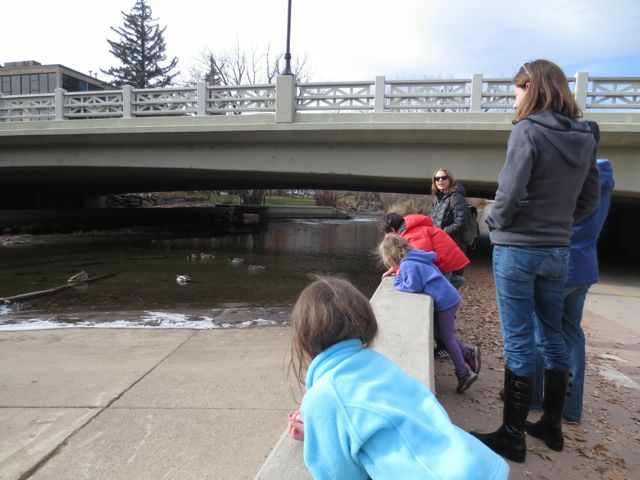 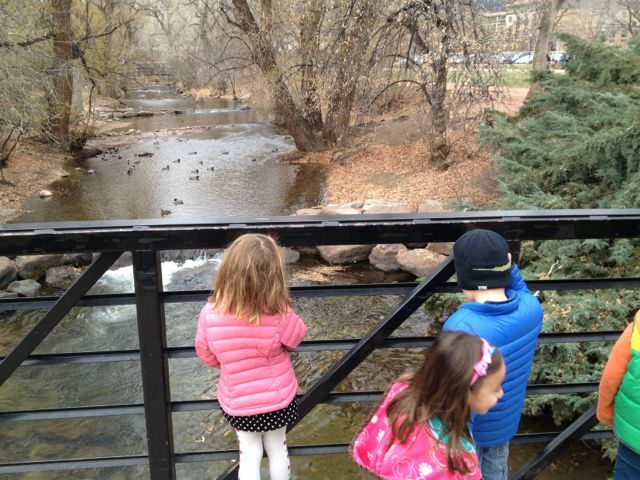 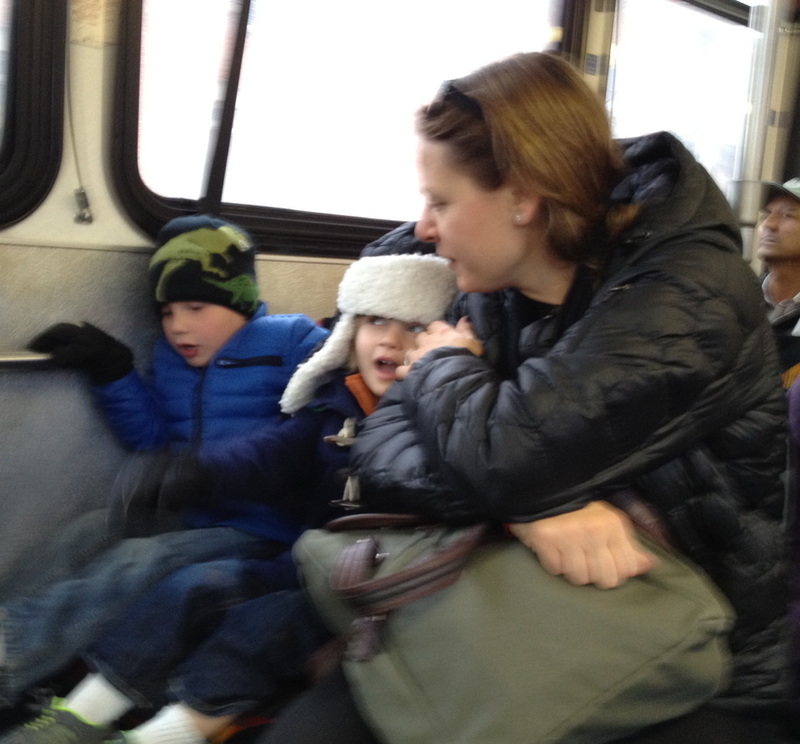 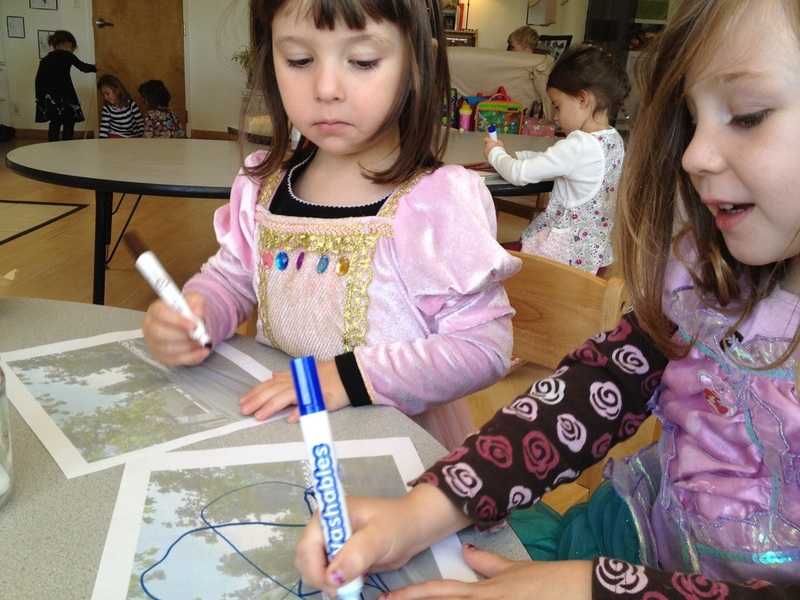 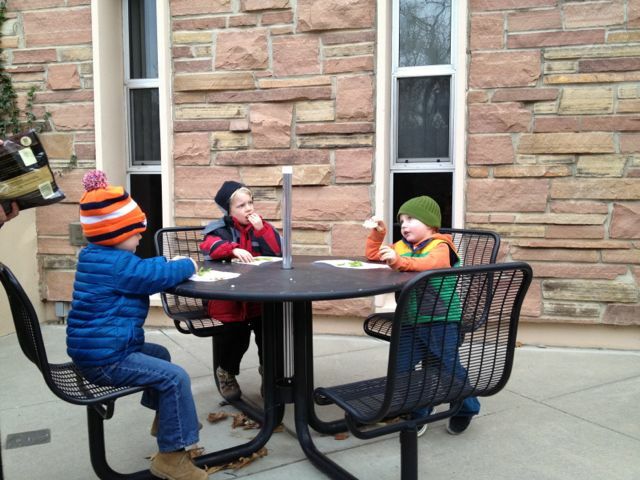 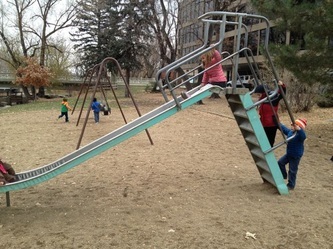 The children and their families visited the Boulder Civic Area in October for a picnic. 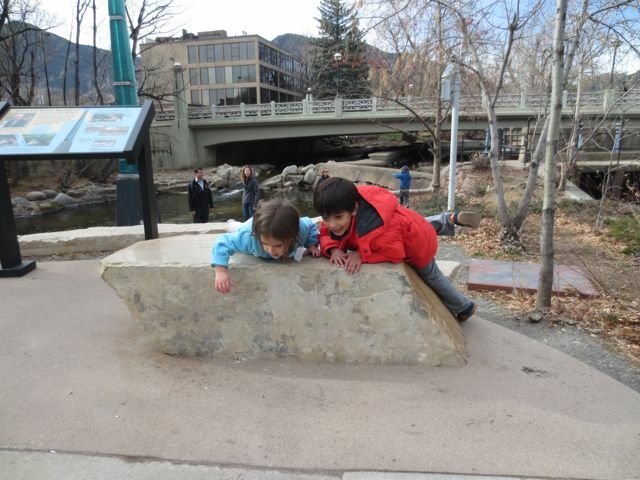 Lily: "Hey I have been to that river! I let my dog go in, she’s pretty crazy in the water and she tries to go in the deep water!" 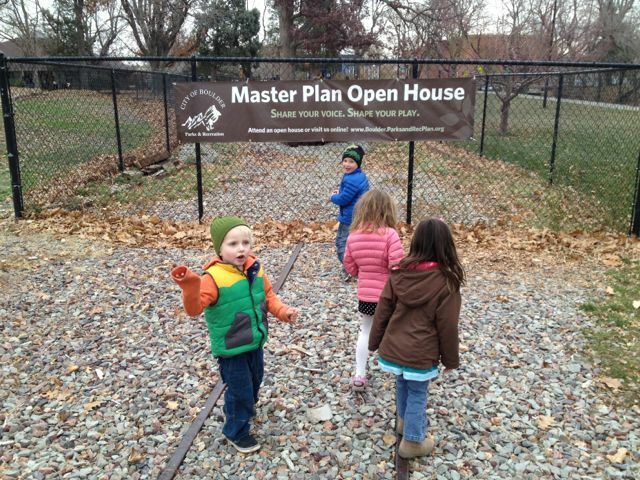 Madeline: "That place is too far away to walk to the Farmers Market!" 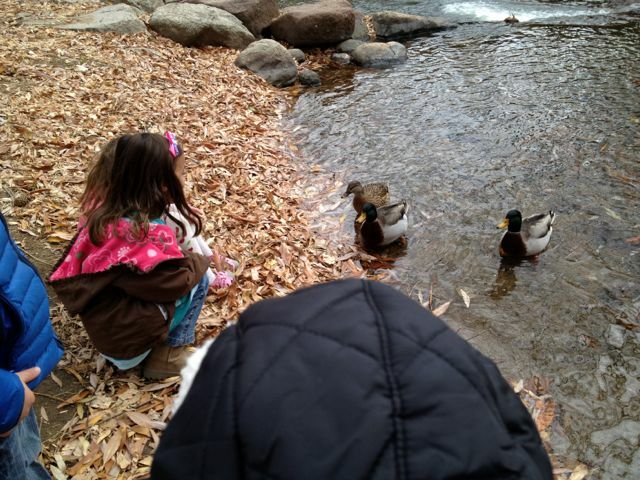 Bella: "Oh! I've been there, I've been there! 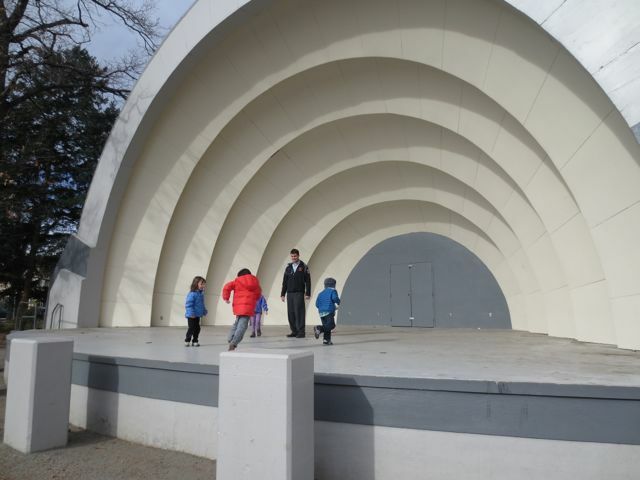 It's right next to the hot dog place!" 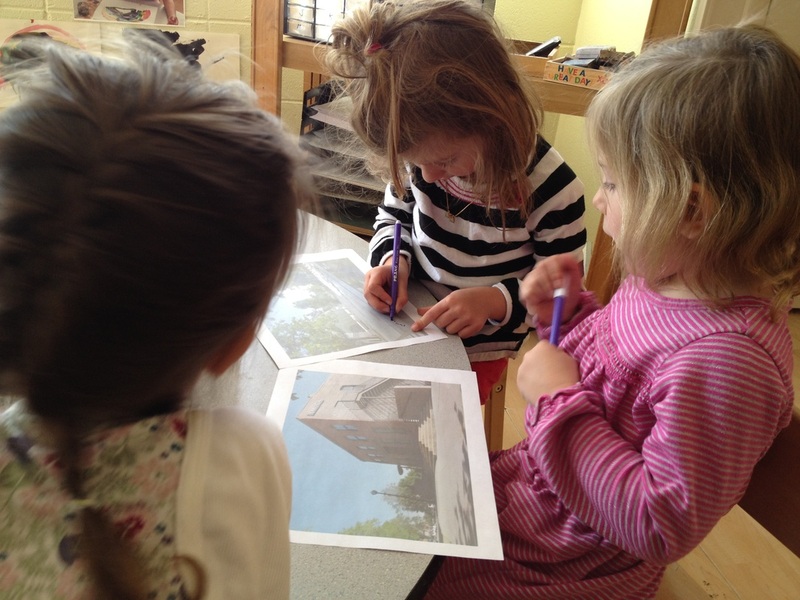 Teachers then printed slightly faded versions of the photos that seemed to generate the most discussion. 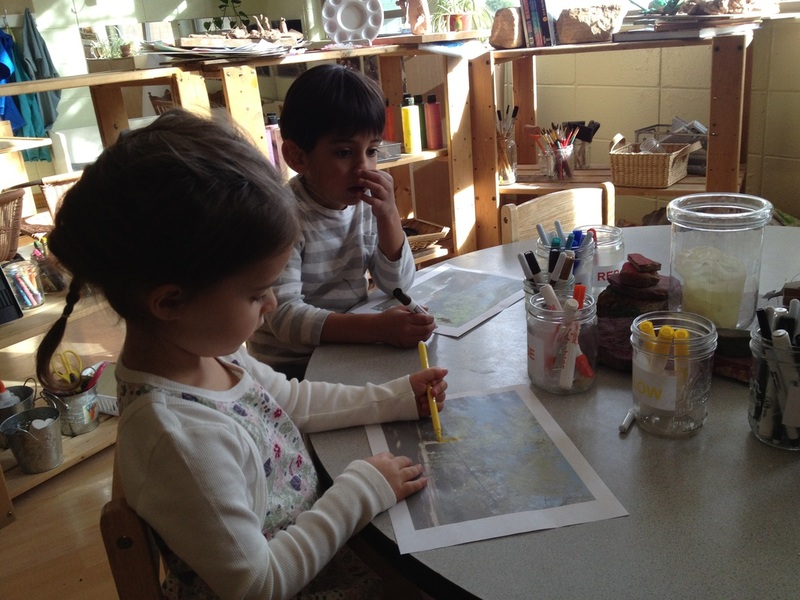 They offered them to the children with markers, and invited the children to draw their ideas about ways they could change the space directly onto the photos. Each time we visited or revisited our experiences in the Civic Area, we asked the children to talk to us about any ideas they had for making it better.